Works off house battery – no additional battery required! Meets Australian regulations for break away systems on trailers over 2000kgs. Australian Design Rule mandates that all trailers having a gross trailer mass over 2,000 kg should utilise a break-away safety system on all wheels. Emergency braking system must also be capable of automatically activating should the trailer become detached from the tow vehicle. In such a situation the brakes must remain active for a minimum of 15 minutes. 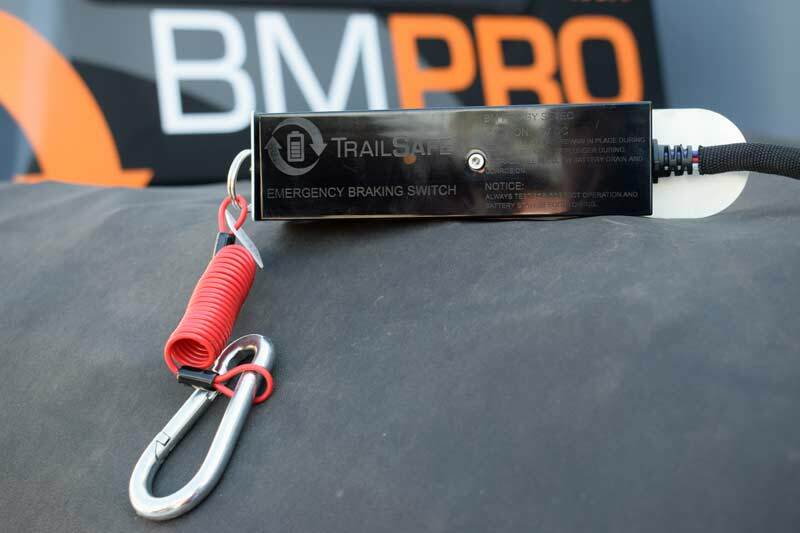 TrailSafeBT is a highly effective break-away safety system designed to activate the electric brakes of a trailer or a caravan in the event of a disconnection from the towing vehicle. 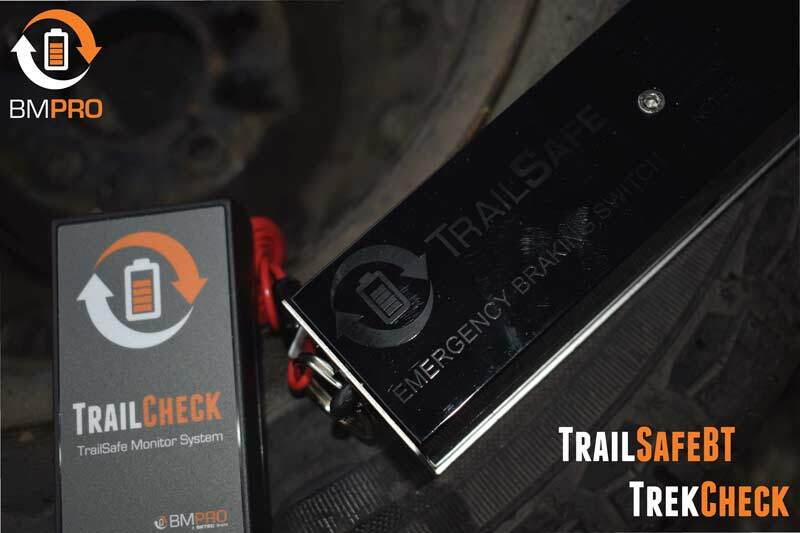 TrailSafeBT takes convenience a step further by utilising the trailer’s house battery to power the brakes in a break-away situation. 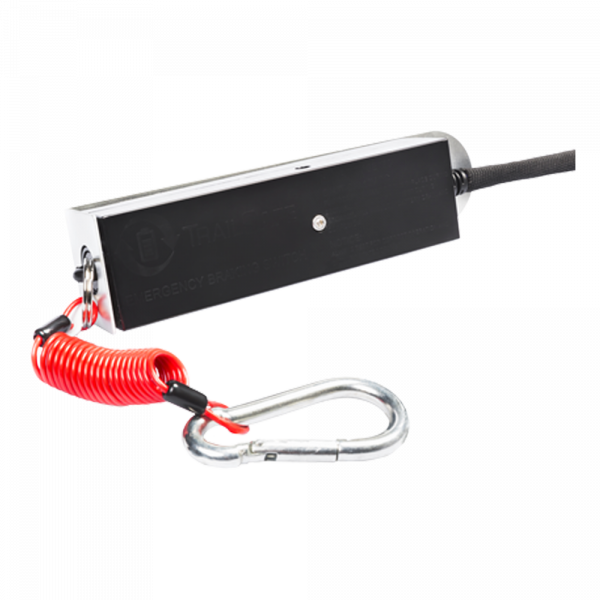 This means there is no need to maintain a second battery in your trailer throughout the year. 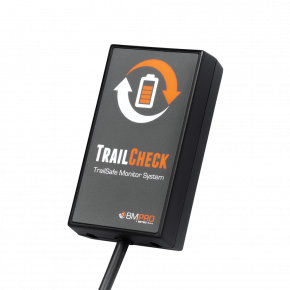 TrailSafeBT also provides an indication of the charge status of the house battery. It also checks the condition of the pull pin and effective activation of the brakes. 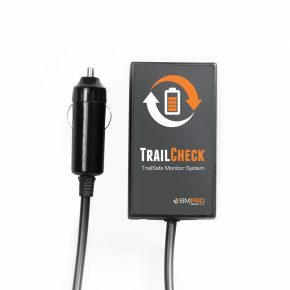 This is transmitted through a wire to a remote monitor, as well as by bluetooth wireless to the optional TrailCheck. If the towing vehicle becomes separated from the trailer, mechanical pull pin is removed from TrailSafe, thus detecting disconnection. 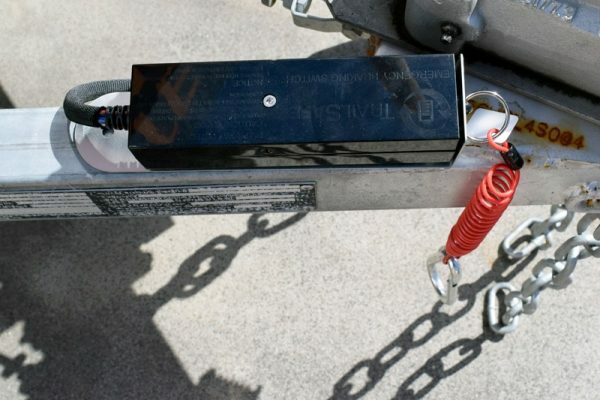 Upon disconnection, the brakes and brake lights are activated as long as charge remains in the trailer battery or until the pin is replaced.